Everyone has a weakness in life and for me chocolate is pretty high on the list. I’ve always been obsessed. It doesn’t matter if it’s milk chocolate, dark chocolate or white, Chocolate cake, brownies or milkshake – I am a complete fiend! 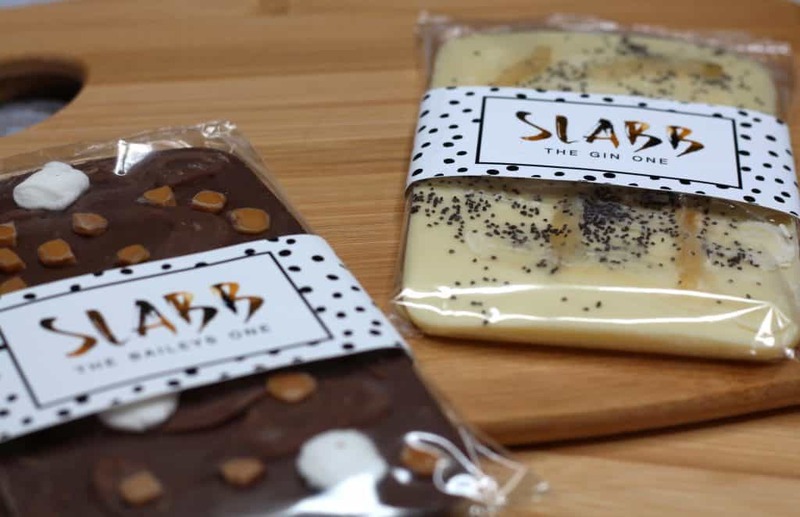 So when I heard about The Slabb who do a range of delicious hand topped chocolate I was sold! 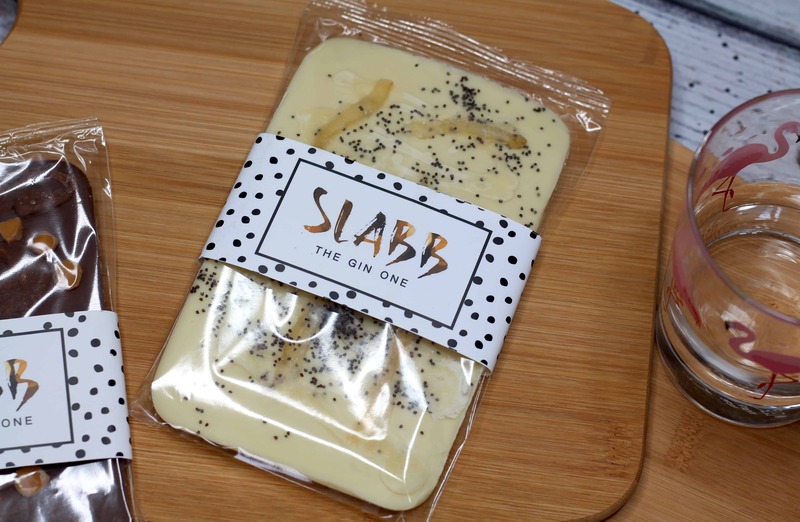 Currently The Slabb are in the process of a Kickstarter project which you can find all the details about here. Thier standard bars are 150g of pure chocolate heaven. They do several different flavours in milk, white and dark chocolate to suit any palette! 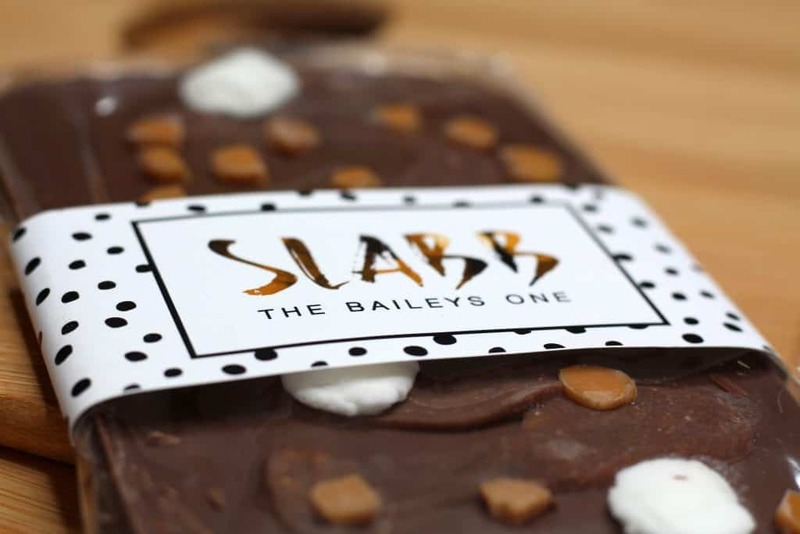 I love that they also do ‘boozy’ chocolate like’The Gin One’ and ‘The Baileys One’ which are the two I have tried! Like I previously wrote here I love a good Gin & Tonic so this combined with a white chocolate was mouth watering heaven in my eyes!! 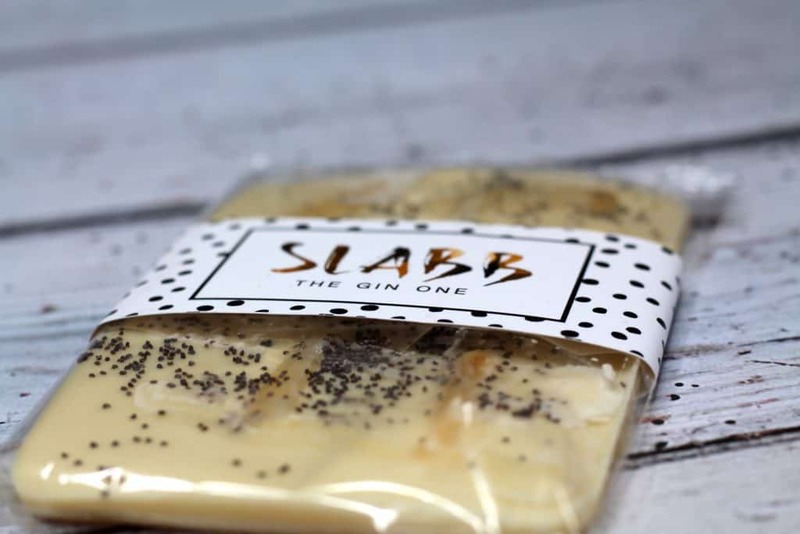 The Gin One is a beautiful full flavoured, luxurious white chocolate that is swirled with London gin, poppy seeds and some dried lemon. I think the chocolate itself tasted delicious and felt luxurious and special. The Gin flavouring was strong without being over powering and it didn’t take away from the actual chocolate flavours. 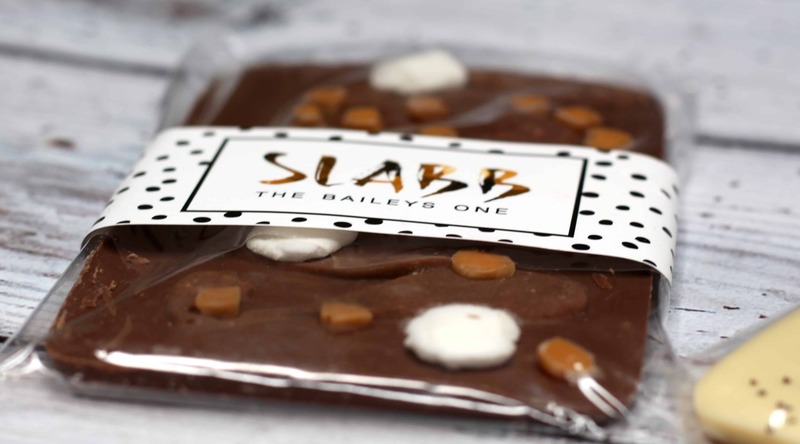 An important factor for me was the bar size and The Slabb bars are very generous in size! I love a good Baileys especially in hot chocolate and coffee! I have tried Baileys style chocolate before and I was underwhelmed at best. It’s hard to get that Irish cream flavour to come through enough without it overpowering the chocolate. The Baileys One is a gorgeous very creamy milk chocolate with real Irish liqueur and topped with fudge pieces and marshmallows. The milk chocolate is very creamy I could devour a whole slab of just that!! The combination of the Irish cream, fudge pieces and marshmallows made this taste just like a luxurious Baileys hot chocolate!! I think in terms of flavour The Slabb have got this spot on. It’s not too overpowering but it’s also not underwhelming either! I have to be honest I was nervous the chocolate would look pretty but taste like a bad chocolate liqueur. I couldn’t have been more wrong though! With all boozy flavoured food I think there is a risk of the flavour being too over powering or completely underwhelming. It was obvious by taste what the flavourings were but the chocolate taste wasn’t lost either. The flavourings also went well with the chocolate. My favourite out of the two has to be the Baileys and I would love to see a mint chocolate Baileys in the future! YUM! The Gin one was delicious but the creaminess of the Baileys just sold it for me! 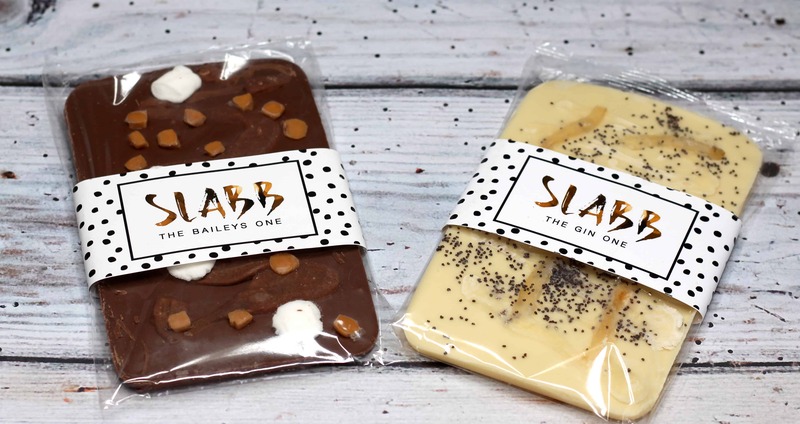 If Gins not your thing or Baileys doesn’t float your chocolate boat there is a fabulous selection of flavours over on The Slabb Kickstarter page here. Right now you can bag yourself a bargain and grab any The Slabb bar of choice with free shipping for £6! 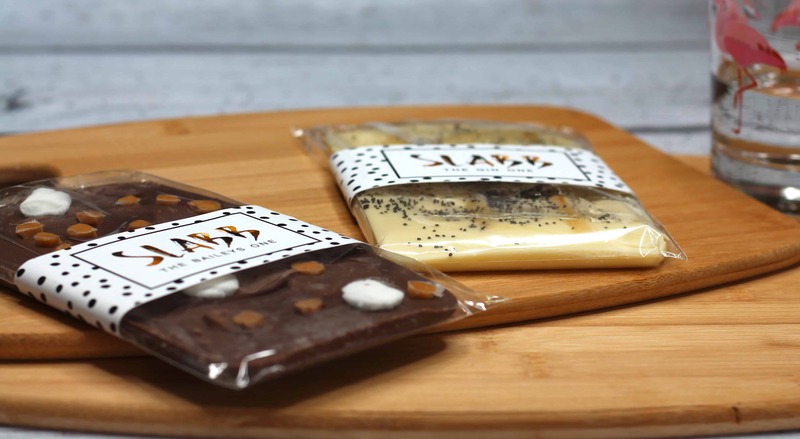 You can also pick up a ‘Slabbscription’ and get a different bar delivered to your door every month for six months! The Slabb are also doing a… SLABBVENT calender! For more information about The Slabb follow them on Twitter, Instagram & Facebook! Thank you so much for stopping by! If you want to check out some other great reviews don’t forget to head over here. 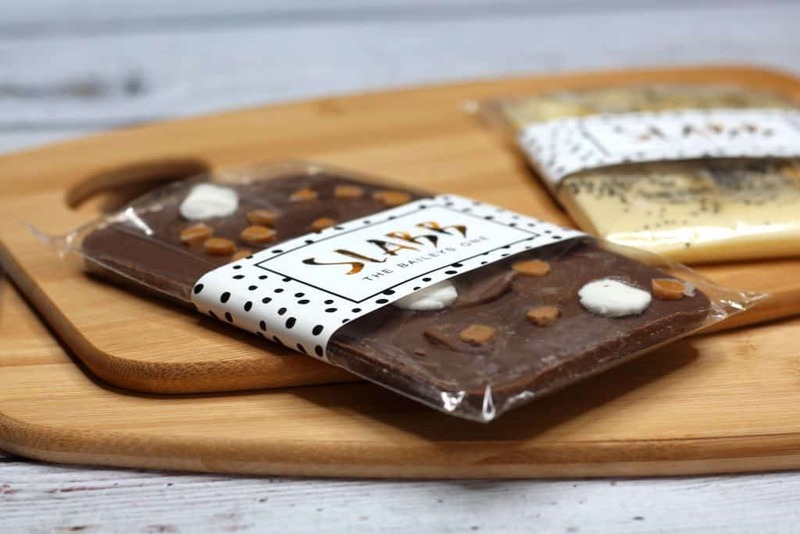 *I was sent two bars from The Slabb on a gifting basis in return for an honest review. As always all words, opinions and views are my own. For more information on any of this please head over to this page. Right? Makes a nice change! !